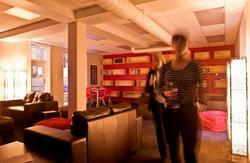 The Dwellington is brand new, with a stylish twist on a backpackers hostel. 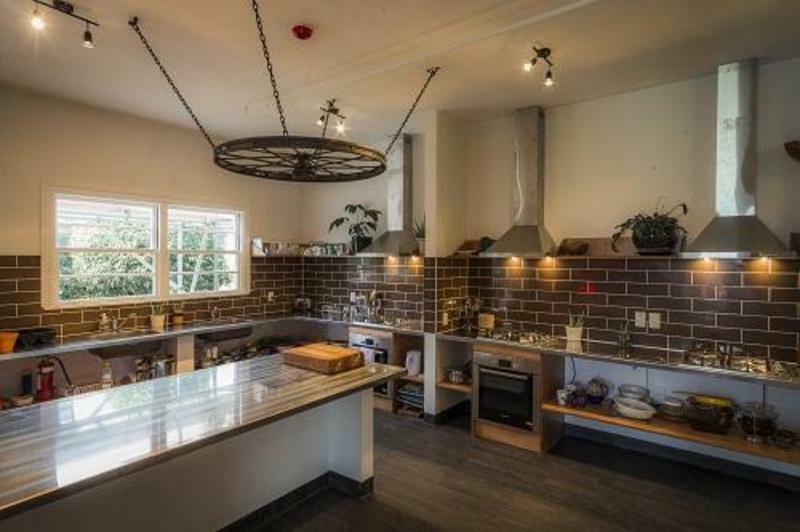 We guarantee you won't have stayed in a hostel as luxurious as this anywhere in New Zealand. Over half of the Dwellington is dedicated to common areas, including the chef's style kitchen, the impressive 5 meter long Redwood dining table that overlooks the tennis courts, television and DVD room, huge outdoor spaces and more. We offer our guests free WiFi and a free breakfast everyday during their stay. Reception is open until 10pm daily but we can arrange to greet you if you're arriving later. We have a range of rooms including spacious private double's, twins, triples, 4 bed dorms, a girls dorm and a generous 8 bed dorm. 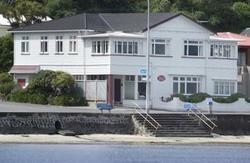 The friendly staff can help with booking local activities and onward journeys including the Inter islander and Bluebridge Ferries. If you are driving: You will arrive in Wellington on the State highway 1 motorway, Take the second off ramp (Murphy Street exit) and Halswell Street is the first on your left. The Dwellington will be straight in front of you. If you are on a Train or Bus: Hop off at Wellington central station (the end of the line). Follow the signs to the bus station, once you're out of the underground tunnel, turn right and head for the Thistle Inn pub, You're now heading against the traffic up Mulgrave Street (which turns into Murphy Street). Keep walking up for about 5 minutes. Take a right onto Halswell Street and the Dwellington will be straight in front of you. If you give us 24 hrs notice we can pick you up. Bluebridge: Walk across Waterloo Quay to the Train station and follow the directions above. Hop on the airport flyer bus which leaves every 10-20min from the Airport. Ask the driver for the Molesworth street (New World) stop. Walk through or around New World, across Murphy street and head for Halswell Street. 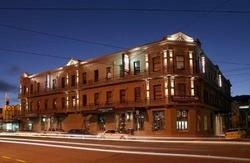 The Dwellington is 8 Halswell St.